Community – N. – A feeling of fellowship with others, as a result of sharing common attitudes, interests, and goals. Tampa, Florida is a mix of many communities. South Tampa’s golf courses, North Tampa’s universities, bustling Ybor, and trendy Channelside—they all are communities in their own right. But together they create one; Tampa Bay. And for decades, this community has turned to one moving company for their local, long-distance, and international moving needs: Community Moving & Storage. Not just for our low rates and skilled movers, but for the values that we hold dear: family ownership, professionalism, empathy, and courtesy. Our goal is to help the people of Tampa get to where they need to go in life without all of the stress that normally comes with moving from point A to point B. As the area’s leading agent for Mayflower Transit, we provide elite level relocation services out of our state of the art facility. Why Choose Community as Your Tampa Mover? At Community, we pride ourselves on being a different type of Tampa mover than you may be used to. We never sacrifice quality in the name of profit and we are fully committed to safety, security, and customer service. We are well-equipped for local and long-distance moves originating from the Tampa Area. With over 100 employees, a modern and clean 85,000 square foot warehouse located in Tampa, FL, and dozens of moving trucks ready to traverse the country, there’s no move we can’t handle. Whether you are a growing business that needs to move an entire office of people or just a family looking to move to your new home and a put a few items in storage, we can handle any kind of move you’ve got. We will pair you with a representative to help plan the entire move from start to finish so you can move totally stress free. As the local agent for Mayflower Transit, we have unrivaled access to America’s largest fleet of trucks. Mayflower’s elite relocation services go far beyond that, too. Our international relocation, logistics, and planning services go far beyond any other company. Thousands of trucks, hundreds of warehouses, and more services than any competitor—there’s no reason not to choose Community. Community Moving & Storage employees must pass strict background tests before they can join our team. And our movers will always show up on time and in uniform. Everyone in the Community family has been trained in the latest safety techniques and customer service standards. You’ve never experienced a move like this before. We treat you like family. Our commitment to professionalism is foremost in the industry. We realize that there is so much more that goes into your choice of moving company than just schedule or budget. It comes down to trust and service. From our free and honest estimates done right from your computer to our relocation services that help you research your new neighborhood before you even hit the road, we strive to make your move as easy as comfortable as possible. We are active participants in industry leading organizations. The Better Business Bureau: For more than 100 years, the BBB has helped consumers make informed choices by rating businesses based on their level of trustworthiness and service. Our high rating with the BBB is a result of our professionalism, dedication to transparency, and customer service. We are proud to be trusted by the country’s highest authority on the consumer marketplace. The American Moving & Storage Association: As the nation’s foremost authority on the moving industry, the American Moving & Storage association is dedicated to maintaining industry excellence and advancing the interests of moving companies across the country. As the representatives of the moving industry, they demand the highest level of service from members. The Florida Movers and Warehouseman’s Association: Our state’s foremost association for licensed movers, they help connect local residents in Tampa and across the state to qualified moving companies. In order to be a member, you must have demonstrated a high level of moving acumen to go along with elite level customer service. We are proud to be a part of our state’s best moving group. Local Moving: We proudly serve Tampa, North Tampa, South Tampa, and all of the surrounding communities, including Pebble Creek, Bayshore, Pebble Island, Cross Creek, Hunter’s Green, Brandon, and beyond! 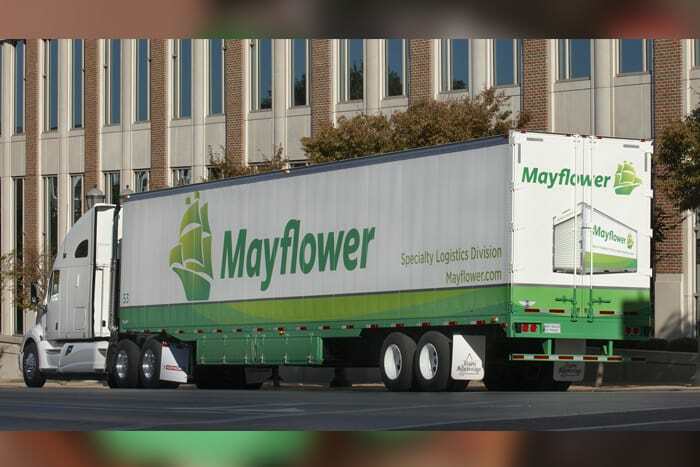 Long Distance: As part of Mayflower Transit, we provide our clients more trucks, warehouses, and logistics professionals than any other moving company. Nobody is more equipped than we are to make your move seamless. International: As part of UniGroup logistics, we have access to moving services in more than 180 countries. So if you need to move abroad, ship your furniture, and get settled in, Community is your best choice. From loading and shipping furniture to locating a new home and helping you settle in, there’s nothing we can’t do. Storage: Our state of the art storage facility is heavily secured, climate controlled, and centrally located in Tampa for easy access. With a range of services, supplies, and an easy-loading dock, our storage services are perfect for families who need extra time to moving day, expanding businesses, or young professionals who need to store things for a bit while they search for the perfect apartment. The name Community Moving & Storage is the result of our dedication to the local community and our commitment to our values. If you are looking for a professional, safe, and courteous move, Community Moving & Storage has been helping the people of Tampa, Florida move locally, around the country, or around the world for decades.